A little late for Christmas, here’s a gift from us to you. 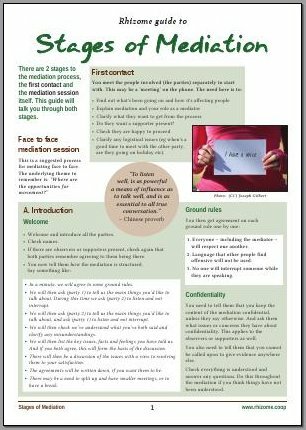 We’ve been busy over December and early January working with Stig – our designer of choice – on a range of guides to all aspects of mediation. The first few are on our Resources page already. More to follow in the next week. We’ll also be overhauling our facilitation materials and adding a new Guide to Consensus Decision-Making. If there are other resources you’d find useful and that you think we can provide, tell us so.